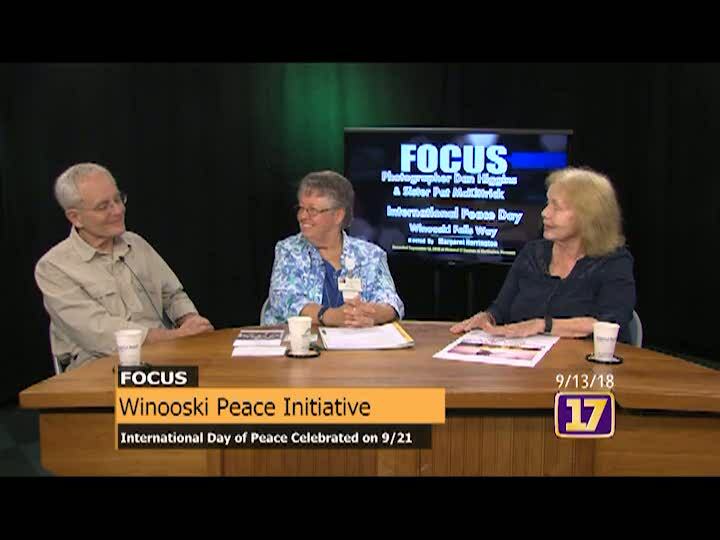 Winooski Peace Initiative members Sister Pat McKittrick, RN and director of the UVM Hospital Outreach Center, and Dan Higgins, Photographer, talk about celebrating the International Day of Peace in Winooski Falls Way on September 21, 2018. This is an opportunity for all the community to come together to celebrate peace with international food, activities, music, prizes, community photos, and raffles. Dan Higgins shows photos of his Celebrating Winooski One Story at a Time exhibit featuring community narratives.